Signaghi (above photo) is a small and quiet town in eastern Georgia. They call this town the city of love because of some old tale. I do not really know the exact story but what I have read from some article is that there was a similar love story that of Romeo and Juliet’s that took place in this little town. Well, true or not, you will really feel the love when you get to visit this place. With the Caucasus mountain range as you backdrop, it will be perfect for some lovebird’s selfies. It was our first day in Georgia. We arrived via FlyDubai in Tbilisi at around 5 in the morning. Guess what? It was freezing cold! It was 9 degrees C at that time, and imagine, it was still autumn! Anyways, it is not freezing for some, but for me, who have been living in a tropical country and the desert, I am not used to it. Anyways.. going back to our story.. We then went to our apartment where we only paid quarter of a hotel’s price. 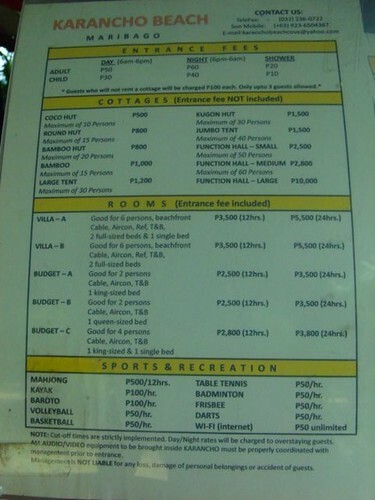 Yeah, we paid less for an accommodation because we want to spend our budget to the “highlights” of our trip. Thanks to G7 Team, they gave us airport transfer services and tours as a package. I will give you their details at the end of this blog. After we freshen up from our flight, we then went ahead to jumpstart day 1 of our tour package. This monastery is one of the most important sites of the Georgian Christian Faith. They call themselves as Orthodox Christians. The lady evangelist, St Nino, one of the early Christians went to Georgia to preach the gospel of Jesus. She was able to preach to the King of Georgia and was healed from his sickness. With great joy, the king accepted the Lord which lead the whole country to be declared as a Christian country. Georgia is, by the way, one of the earliest Christian Country along with Armenia. The significance of this site to Georgian Christian History is that the relics of St Nino is buried here. We then went to Signaghi tower where they used before as an outpost as a lookout for a possible invasion from the Caucasus. This little town indeed made us fall in love with Georgia! The favorite part of wifey is our visit to Khakheti’s Winery. Georgia is one of the countries in the world that produces great wines. Tracing back from their roots, they have been experts in wine making. For me, they are producing the best grapes in the world. Never have I tasted in my entire life such quality of a grape. With a minimum fee, we were able to take a tour around the winery and even experienced harvesting grapes. All GCC residents, regardless of passport, does not require any visa hence we took advantage of it. Georgia is a beautiful country. There will be more to tell on our 2nd, 3rd and 4th day. See ya on my next entry! Karancho Beach is a family beach resort located in Maribago, Lapu-lapu City. It is one of the white beaches that offers reasonable prices. Among the three resorts within the area (Bluewater, White Sands, Karancho), Karancho is the cheapest so people with tight budgets will always choose Karancho beach. How To Get There: From Cebu City proper, if you are commuting, you can take a jeep bound for Mandaue (Highway Seno or Parkmall), and then take another jeep/multicab bound for Maribago. It would take around 45 minutes travel from Mandaue, lesser if you would take a taxicab. The resort is pretty much accessible from the international airport. Pets Allowed This is a pet-friendly resort, so you can bring your cute little ones. Karancho would be a good place to spend a day with your family. Check the weather and your calendar for the tide, make sure tide is around 1.6 to 2.0 during daytime to enjoy swimming. Maribago Bluewater is a resort located in Brgy Maribago, Lapulapu City, Cebu. It is one of the premiere resort-destination in Mactan Island. It is one of the Bluewater-trademark resorts in the Country. It offers wide range of activities such as for team buildings and other family or group activities. It is also a nice place to spend a night for those who needs to escape from the stress in the city. You do not actually need to travel long distances. This is ideal for people who hates hitting the road but are longing to spend a day at the beach. How To Get There: It would just take a few minutes ride from Mactan International Airport (Cebu) so it is really ideal for tourists who want to start their day soaking at the beach; you just need to hire a cab from the airport. From Cebu City proper, if you are commuting, you can take a jeep bound for Mandaue (Highway Seno or Parkmall), and then take another jeep/multicab bound for Maribago. It would take around 45 minutes travel from Mandaue, lesser if you would take a taxicab. From Manila: There are a lot of flights to choose from per day bound for Cebu so it is not a problem. You can choose from PAL, Cebu Pax, Airphil, or Zestair. The Pool Their pool is quite warm or should I say warm at that time because of the sun. Otherwise, it was really good. The Beach Who would not love the white sands and crystal clear waters? The food is fine but not quite impressive. Spending a day at the resort would be suggestive, but it is highly suggestive if you spend the night with your loved one in this romantic resort. For the locals of Cebu, if you are tired of travelling to far places then this is the perfect resort for you. You can actually visit their website at to book or for inquiry. Are you in Cebu right now? then what are you waiting for? Visit Maribago Bluewater Resort now..